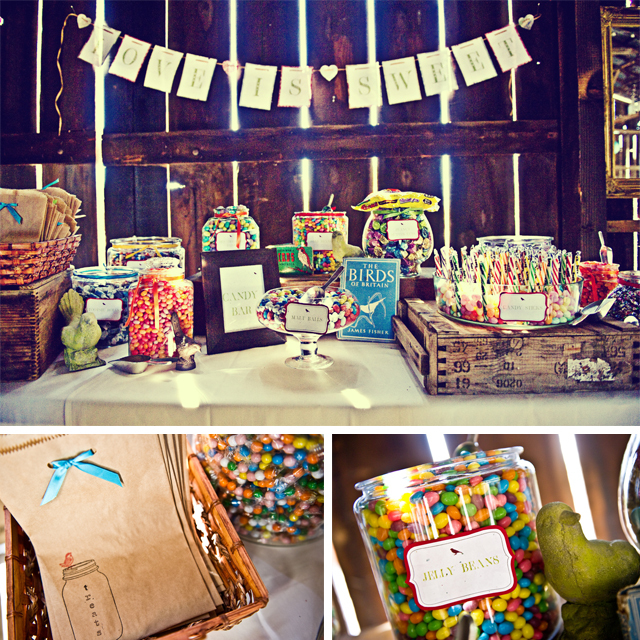 Candy stations and homemade treats are the perfect party favor nowadays. Who doesn't love to leave a wedding with something sweet to eat?! 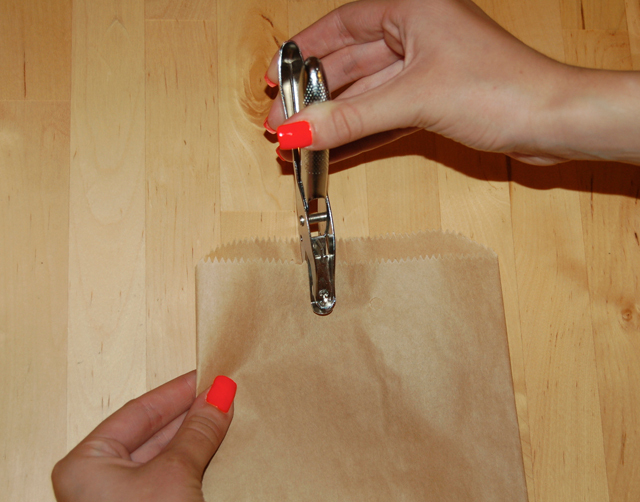 Now all you need is the perfect treat bag for your guests to fill full of goodies. 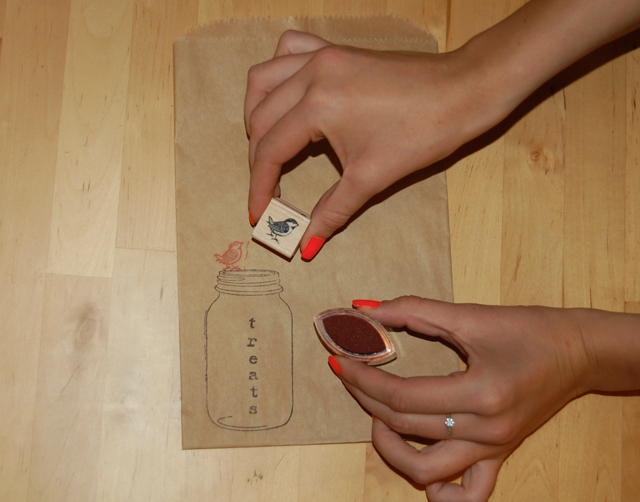 These sweet and simple d.i.y. 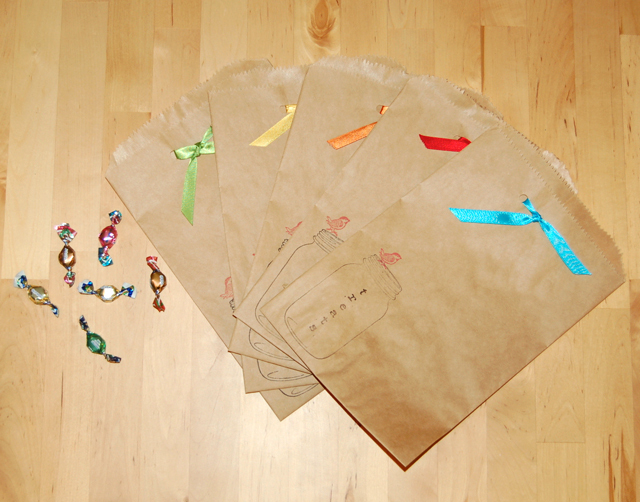 treat bags can be customized in so many different ways. 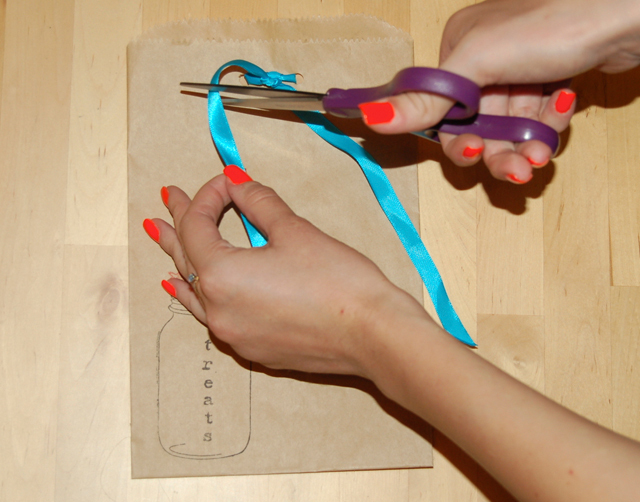 You choose the ribbon (whether it be satin, lace, or raffia), the stamps, and a unique message to fit the theme of your wedding. 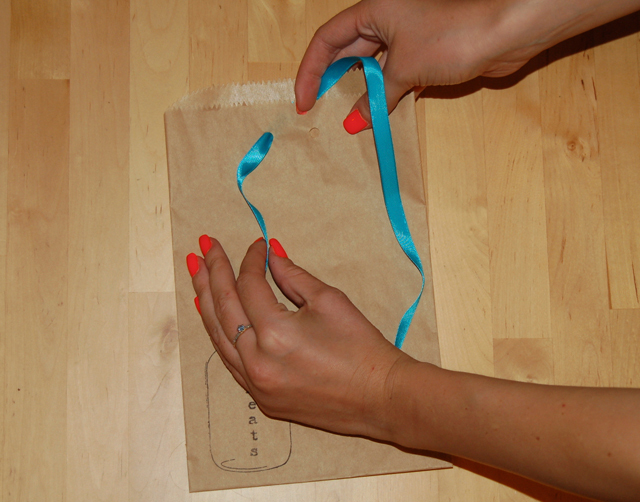 These candy bags can be made in less than two minutes, which is great if you have to make a couple hundred of them! Plus, they are super budget-friendly. 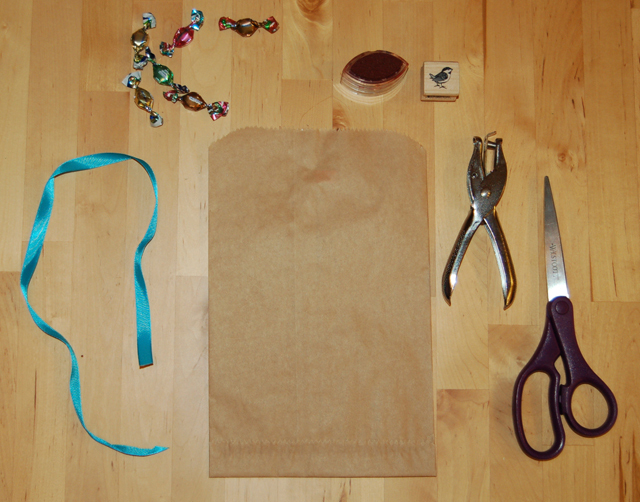 What you will need: paper bags (these are from Uline), ribbon, rubber stamps and ink pads, a hole punch, scissors, and, of course, treats! Send us photos of your delovely d.i.y. treat bags! We'd love to see all of the different variations.